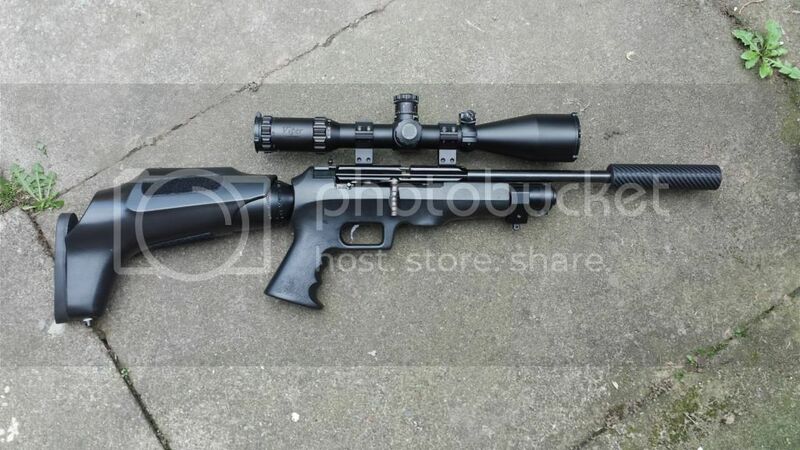 As per title , this rifle is up for sale (unscoped) due to lack of use. Its a fantastic little rifle , i just have no use for it. Good condition , comes with swivels for sling (includes FX tube clamp) 3 tins of washed AA field and a best fittings qr probe fitting. As it has no case (none when i bought it last year) there is a slip that holds it but is marked up for a Logun s-16. Is it a Mk1 or Mk 2 ? Whats the accuracy like and how many shots per fill ? And, has there been any problems with it ? Mel.